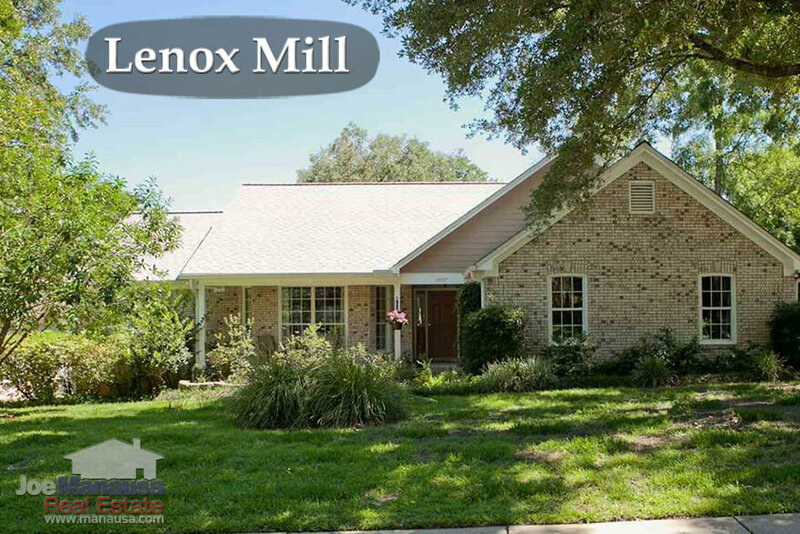 Lenox Mill is a popular NE Tallahassee neighborhood located just north of Northampton on the east side of Thomasville Road. To say that these homes are popular is a gross understatement, and you will see why in this report. The following list of homes are all the current listings in Lenox Mill (none at the time of this writing). This information is updated every 15 minutes, so you can be sure that it is the most accurate view of available homes for sale in Lenox Mill. The reason that Lenox Mill is so popular today is because it offers great prices, a premium location, and A-rated schools. Due to the small size of the neighborhood, we do not often write about Lenox Mill. But demand for these homes has reached an all-time high, so if you are thinking about selling, you will be pleasantly surprised at what a top real estate marketing plan will deliver in today's market. In this report, take a close look at home price trends, home value trends, and home size trends in Lenox Mill, as well as the table of all closed home sales going back to 1991. It is important to note that the narrative contained below is for sales through December for all previous years, but through the 20th of July in 2017. The graphs and the closed sales table will be continuously updated into the future (meaning bookmark this page if you always want to know the current status of homes in Lenox Mill). Average home prices haven't been this high since 2008, and we'll likely see them move higher in 2017. The fact that there are few homes entering the market means that there is a good bit of noise in our data. Expect to see the long-term trend generally moving higher. Currently, there is one home for sale in Lenox Mill and it is already under contract. Lenox Mill is a high-demand product with zero inventory. If you'd like to be in Lenox Mill, jump when you get the chance. Average home values in Lenox Mill have shot up nearly 9% thus far in 2017, though that is only with three homes sold and closed. Currently, the average value of a home in Lenox Mill has been $136 per square foot, so don't be surprised to see this continue higher during the remainder of the year. The current average happens to be the highest average recorded since 2006 (the market peak) and the second highest of all time. The average home size sold in Lenox Mill typically falls in a range of 2,000 to 2,300 square feet, and this year is no different. The average size of the 3 homes sold in Lenox Mill in 2017 has been 2,133 square feet. The following list shows more than 300 home sales in Lenox Mill going back to 1991. I hope you enjoyed our July 2017 update on home sales in Lenox Mill, please feel free to drop me a note if you have questions not covered in this report.